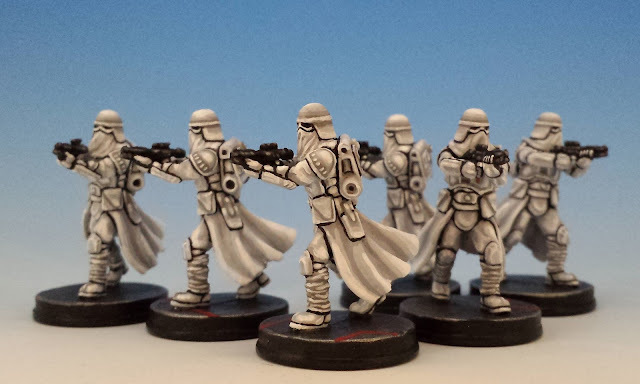 Here's the 3rd and final wave of painted miniatures for Return to Hoth, the latest expansion for Star Wars Imperial Assault (here are the first and second posts). Now I can settle down to some Hoth based games: skirmishes with my friend Nicos, and the campaign mode with myself (which may be a little lame since the campaign isn't designed for solo play -- but I love playing solo and seeing how the story of the campaign unfolds). Return to Hoth features canonical miniatures (Snowtroopers and Wampa Monsters) as well as two models from the larger Star Wars universe: the HK-Assassin Droids and the SC2-M Repulsor Tank. 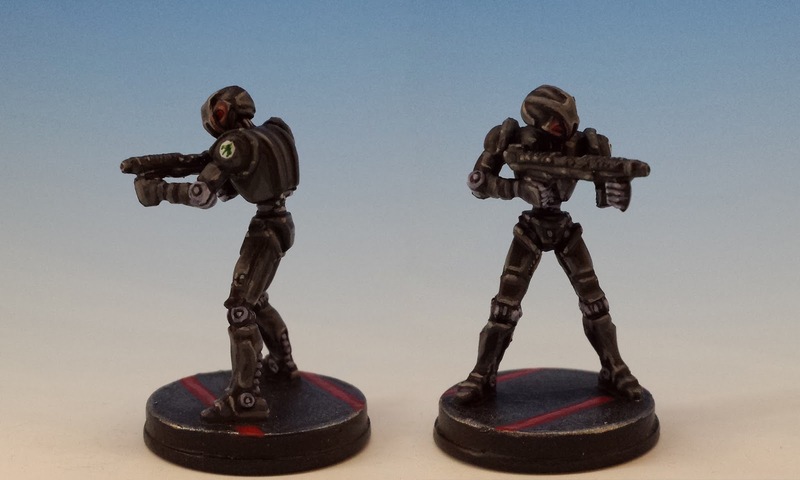 Painting these miniatures was a challenge because of their simplicity. All of them are monochromatic, which means that as a painter we have to work hard to add interest to the miniature. I like to do this with some extreme shading, but even this is tricky, because its easy to over-do the shading so what should be bright white or bible black runs into nothing but grey. Recently I've had a number of people mention that my painting style reminds them of cel-shading (i.e. blocks of graduated colour rather than seamless shading). If this trait is normally noticeable, it is dominant in these monochromatic miniatures. I used to feel quite ambiguously about this painting style of mine. Shading with ink glazes are much more fashionable, often beautiful and (from what people tell me) easy to employ with just a little practice. But shading with glazes and washes has never come naturally to me. Although I'm continuing to experiment with glazing, I've decided to embrace my cel-shading ways. Since it comes naturally from my brush, it seems to be an expression of something inside of me. It may make my miniatures look clunky, but at least they are clunky in a way that it uniquely mine. 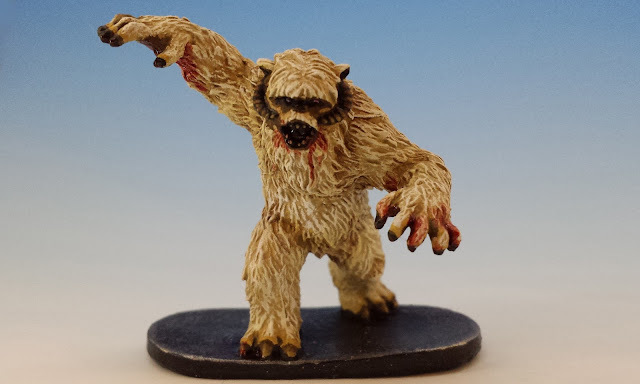 After all, miniature painting should be an art, not a craft... individual style has to count for something. Well, that's what I'm telling myself. I should also add that I think that way I photograph my miniatures contributes to the appearance of cel-shading. I shoot them at very close range and flood them with messianic quantities of light. I like the way this technique makes the miniatures look (even though it tends to expose even tiny mistakes). But when using the miniatures on the table-top, where the light is more terrestrial, the shading gradients aren't half so noticeable. In any case, I'd be very interested to hear if anyone else has found that they have a certain painting style that comes naturally will-thee or nil-thee. Please let me know... And otherwise, thanks for looking! 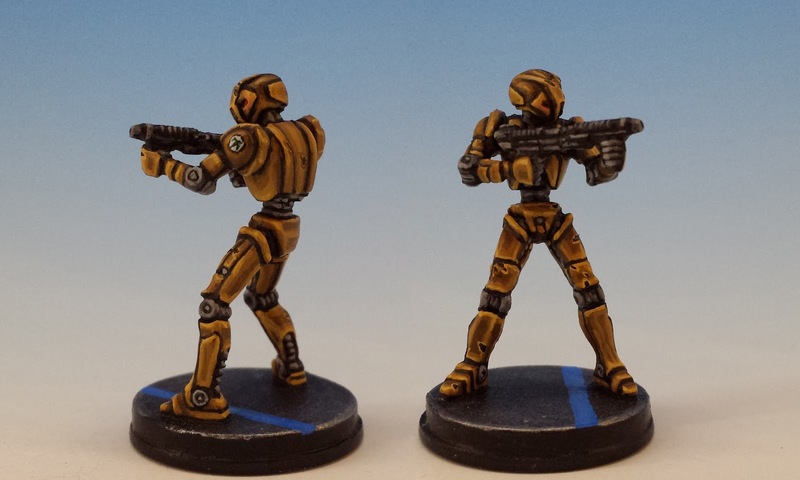 All these new models can now be found in my galleries of the complete range of Star Wars Imperials, Rebels and Mercenaries. 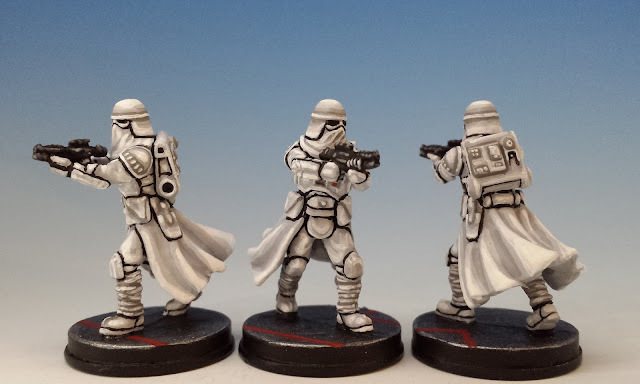 PS -- If you like creative conversions for Imperial Assault, check out Suber's modifications to Darth Vader and Luke Skywalker. By subtly adjusting their positioning, he's added a whole new level of movement to the miniatures. And as always, his paint jobs are great. I can't wait to see them! I love your painting style -- and especially your comic book battle reports. Looking forward to some action from Hoth. These are superb and inspirational. Woooow! Fantastic Hoth collection! Your painting is a source of inspiration! Lovely work again. I suspect painting style depends to some degree on the product one uses. 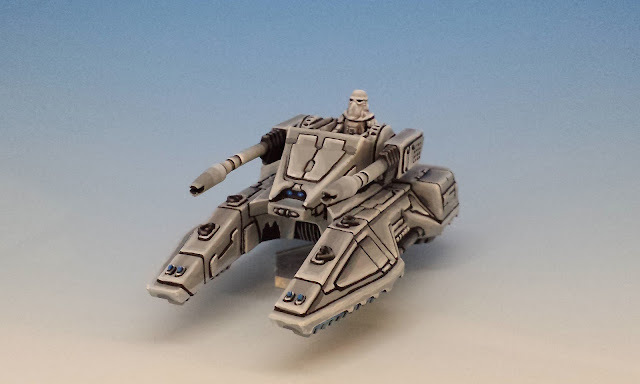 I find I use a similar technique to yours (no black lining though as my hands really aren't steady enough for it) when I'm using the foundry system paints. Less so when I use my old Citadel paints as their range of paints were really designed for washes (ink or otherwise) and mixing up highlight colours yourself. Certainly that was the case with citadel stuff when I started although I realise they produce graduated ranges of colours now (similar to foundry). I find graduated ranges easier to use as one doesn't have to go back over areas that were base-coated as one generally has to do when you use washes/glazes. And I don't have to worry about mixing colours which can be a pain. But washes provide a depth of colour that one cannot get with graduated ranges of paints...so I still use them often. That is a fascinating observation, Nathan -- you are certainly on to something. Many years ago I switched from Citadel to Vallejo, and I'm sure I was influenced by Vallejo's wide range of colours. Thanks everyone. It makes me quite happy when people call these pictures 'inspirational'. There's nothing better then helping to trigger the imagination of others. I think this is especially so with Imperial Assault, since I'm honestly not sure if it has grabbed people's attention in the way that it should. I want to do my part to promote the game (and encourage lots of expansions!). These are great, Matt. My painting style is very similar to yours - black lining and layers. I've been told it's an 'older' style. I use washes and glazes sometimes, but my highlights are still usually just layers. I agree with Nathan as well - if the colors I'm using are Foundry I rarely use washes because the triad tones aren't designed for it. The new range of GW paints doubled the last time and they have more subtle gradations between paints and I don't always uses washes with those either. Well, I'm flattered if you think my miniatures resemble yours in any way, because I'm a big fan of your work. Thanks. 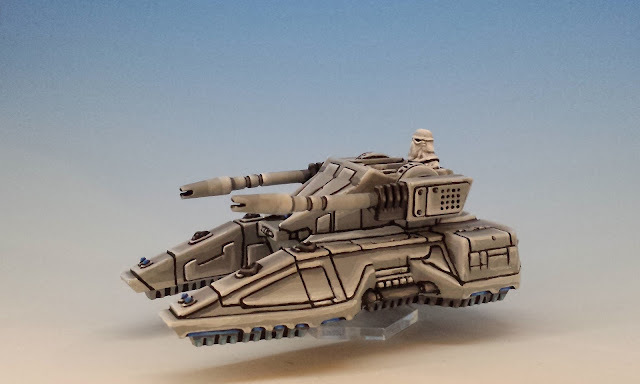 White color is my nightmare and you've made great work with it!Specialy with the Tank!Great job!Regards, George. Yes - white is really, really hard. I find that you have to do multiple coats of white to get it truly white. And even a touch too much shading makes white look like grey. What I can say is that you really excel in this kind of minis. Oh my, those whites! They are really terrific. Your style is quite distinctive, quite unique, with the lining and the shading you practice. If it works for you (and it certainly looks so! ), it's all you need to know. Kudos on those minis! Thanks Suber! I'm glad I seem to be developing a distinctive style. 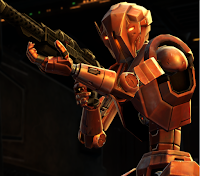 Im interested to now what color did you use for the trandoshan skin.... in a post from last year? You're testing my memory -- but I think it was variations around Vallejo Leather Brown (or maybe Plague Brown, which is very similar). I believe I created a darkened basecoat by mixing Leather Brown with Beastly Brown. And then layered highlights with plain Leather Brown, and then Leather Brown mixed with yellow and white. Good luck -- I found the Trandoshans tricky and time consuming -- there is a lot of detail in them. Matt, those snow troopers are really fantastic, they are exceptionally well done and keep the eye interested. Oh my goodness - I hope you do get into IA. I would love to see what you do with the miniatures -- and I would be so happy to do some skirmishes with you. From the Return to Hoth expansion for IA.